Forgive me if this is a dumb question, but should i take the wheels off? Whoo hoo - page 14! I didn't get it at first. If we combined all of my stuff under one subject I might have a nice long build thread well past 14 I suspect -- wow . Thanks for putting up with me guys! Before you start buying ramps and stuff let's try to determine just what the problem is. (I never liked ramps anyway, they don't leave a lot of room to work) (But that's me and my prejudices are showing - read that old age)!! I'm not certain how you support an 88 up front so the suspension is under compression like it is on the road, but even doing one side and then the other should permit a reasonable diagnostic. Is there a lower A-arm on the 88 fronts? Once the problem is known then comes time to spend some hard earned dollars. Should I risk driving it to the meeting or should I come in the Jeep? 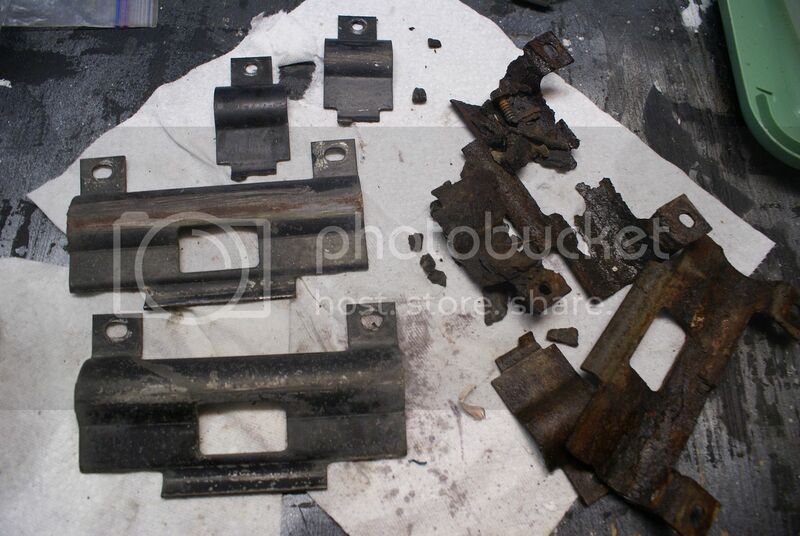 Planning to replace the front cross member on Laura's car this Saturday morning. I can trailer the car to Longwood if we aren't going to have enough concrete to work above. Otherwise, at the bat cave. More details to follow. 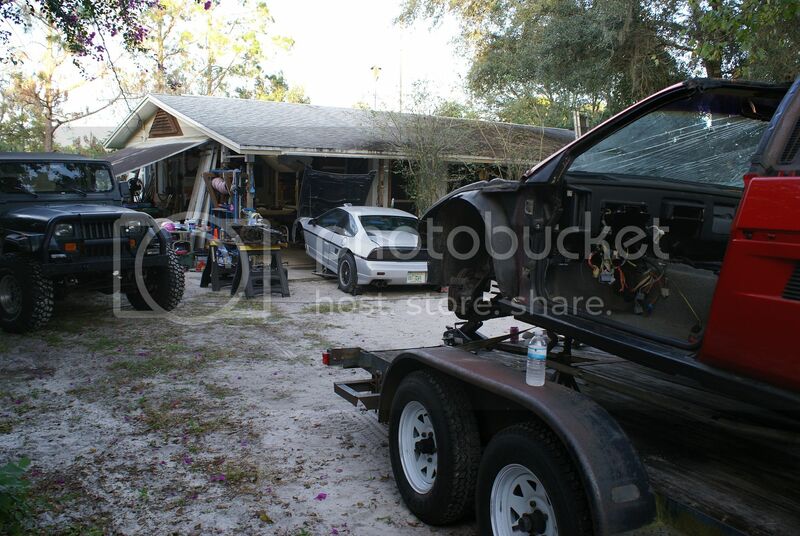 Saturday's the Space Coast Fiero's Christmas get together. Going to have to miss this one. When will next day be? Thank you Chuck for posting an update on our plans -- and thank you for helping me with all of this cancer removal. Marc and Pappy - sorry you guys can't make it, that's what I get for waiting until the last minute to say anything. Anyone else that wants to stop by is more than welcome to. I'll try to take lots of pictures and post a progress report. Hopefully all goes smoothly! Just an brief update and a huge thanks to Chuck and John for everything I'll post pictures later, but for now here's a quick run down -- We hoped to finish in 1 day, but a bolt problem on the 'to be installed' cross member left us needing another organ donor and chucks parts care was the lucky victim. So on Saturday the front suspension was removed from two cars (the bat mobile and the parts car); the transplants began early Sunday morning. By Sunday afternoon we had the bat mobile back together. 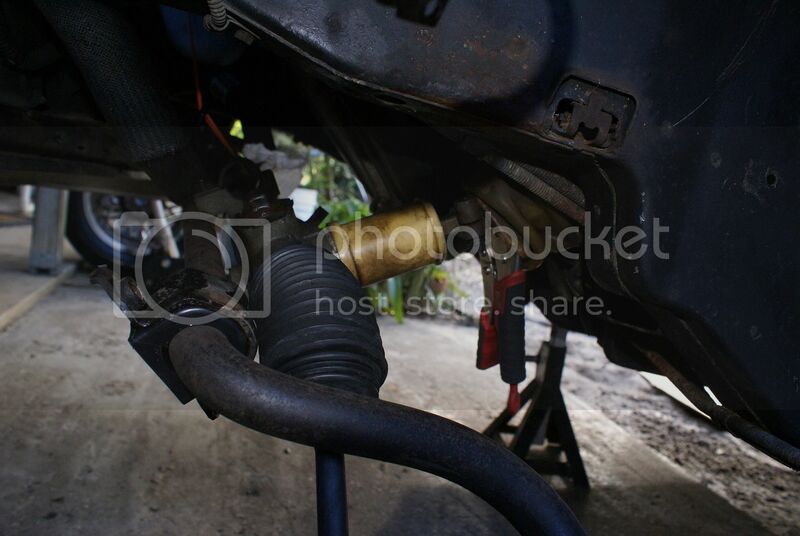 replaced the front cross member, coolant tubes and braces on both sides, installed new sway bar bushings, new outer and inner tie rods, and new end links (replacements from Rodney I've had a couple of years). I'll add pics soon -- Planning to taking it for an alignment today, but still need to top off the coolant and tighten the lugs. Thank you again guys, ya'll are the best! The primary goal was to swap out the cross member, plus I also hoped to install a few new replacement parts during the surgery. 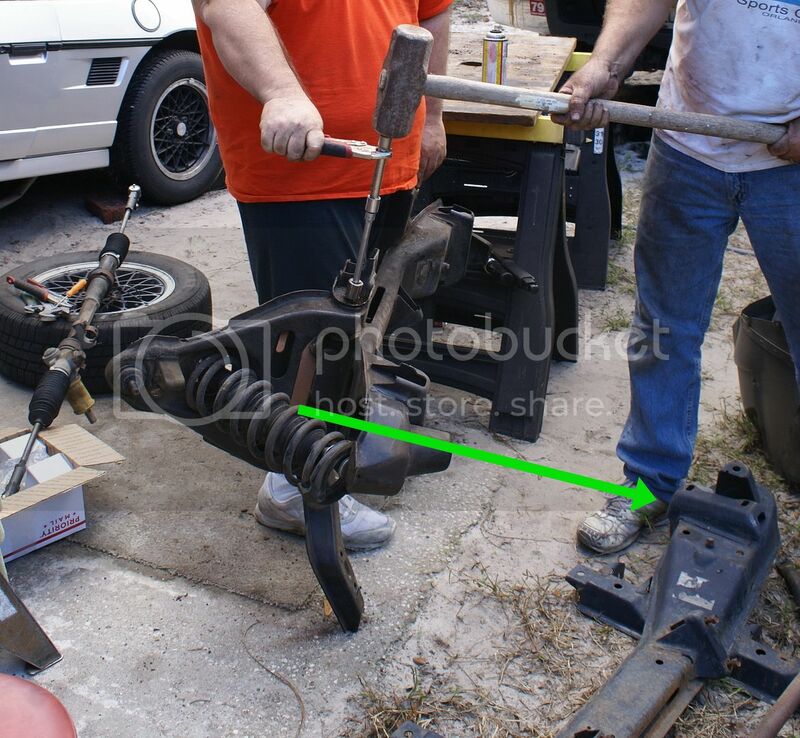 When Chuck and John arrived with a replacement front cross member Saturday morning, the plan was to remove the front cross member / suspension from the BatMobile, transfer the suspension onto the replacement cross member, and install that back into the BatMobile. Everything came out of the BatMobile OK -- but we hit a snag transferring the BatMobile suspension onto the replacement cross member. 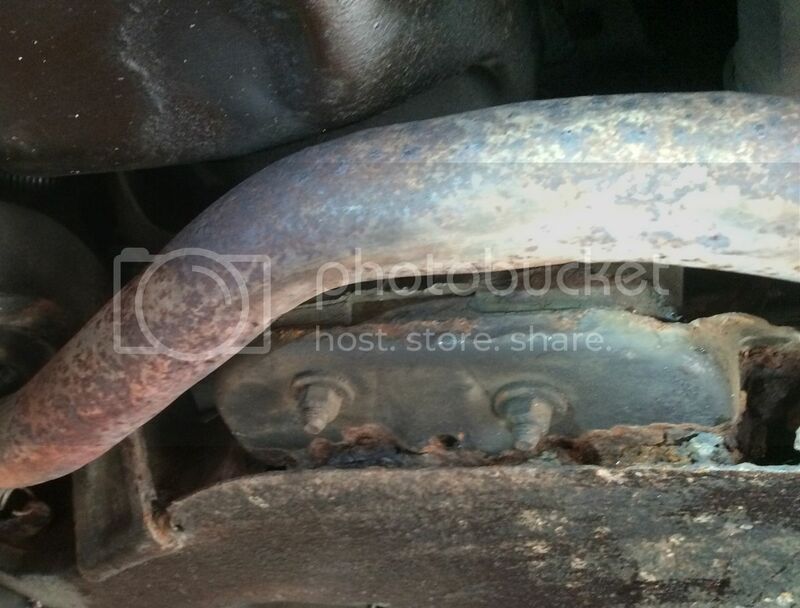 After battling a stubborn bolt and an issue with the control arm, Chuck suggested we consider another option. 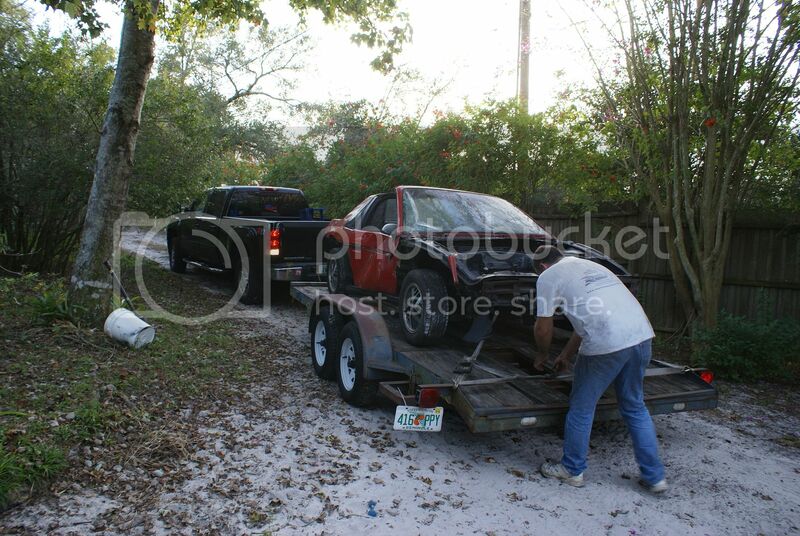 The three of us drove to Longwood, loaded the Fiero carcass known as 'chucks parts car' onto a trailer and had the organ donor in the driveway ready to be cannibalized roughly 2 hours later. We also transplanted the coolant tubes and coolant tube brackets on both sides from chucks parts car to the BatMobile ..
Sunday afternoon we had the bat mobile back together. A huge thank you again to chuck and John for all their help!! I picked up a replacement cradle before Christmas -- Yippee!